Customer service is defined as the assistance and advice provided by a company to those people who buy or use its products or services. The attitude of a business towards its customers or clients need to permeate the entire culture of an organization to be effective, and is critical to portray a consistent image of the entire corporate brand. Most businesses strive for excellent customer service leading to raving fans, which will return over and over… and refer others. The following is a true story of a small adjustment in mindset that drastically changes the customer experience for the better. Several years ago, working with 19 partners, I was part of launching a long distance phone company. We had the vision, business plan and people, and we needed to make it successful. However, we grew much faster than expected… and literally had over 6,000 customers before we could actually provide the service! What ensued was a barrage of daily calls to our customer service call center. People were upset and their anger was taking its toll on our normally friendly representatives. It was like a vicious cycle of frustrations from clients leading to frustration on the part of our representatives. One day, we decided to change one small thing to turn things around. We held a “Mighty Mouse” training with the call center. We actually had them run around the building singing “here I come to save the day.” Then we changed their call answering script to “It’s a great day at (name of company/changed over the years), how may I help you.” The result was amazing. The customers started saying “It’s a great day? … Does that mean service is coming?” The overall opinion of the clients was that if the call center was upbeat and positive, then everything was going to work out, and it did and still does today. It’s now known as inContact. The founder of Chet Holmes® International™ always said “the client is king.” I agree. In my years in business and training businesses, there are many companies that are known for their exceptional customer service. Let’s look at two examples. One is the World Famous Pike Place Fish Co. It’s a historic, open air market in the heart of Seattle. Purchased by John Yokoyama in 1965, an employee at the time, and on a tight budget with his car payment taking most of his $150 weekly pay. He decided he could do better as an owner… and looking back all these years later, it is remarkable how he turned it around. He created an incredible experience that people come from all over to see and participate in… they throw fish to and from people passing by in the market! (You may have seen clips when Seattle Seahawk games are televised from their home field). Training sales people for a major retail store, we used their model to motivate the sales people creating a contagious energy that exuded to the customers and staff alike. Pike Place chose to make work fun for their employees and customers by throwing fish to each other. It has since been implemented in many businesses and stands for how “silly” our business representatives can be about customer service. This story points out how simple it is to go the extra mile for a customer setting yourself apart from your competitors. It has to do with service, attitude, consistency and team work. It has to do with everyone in your business understanding the overall mission and vision of the company. 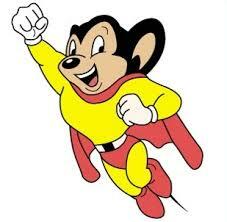 The “Mighty Mouse” simplicity giving confidence to those who must deal with your customers. The Chet Holmes belief that the client (or customer) is king (queen). The Pike Place Fish Co. theory of creating such a fun environment that employees, customers and ‘soon to be’ customers are engaged. Wishing you many years of saving the day by finding the fish or pickle that makes your customers and/or clients feel like they are kings (and queens).